Williams Construction is proud to announce the promotion of Chris Rabb to Pryor Division Manager. Rabb has been with Williams Construction for seven years specializing in client relations, estimating, project profit and loss projecting and contract negotiations as a Project Manager. 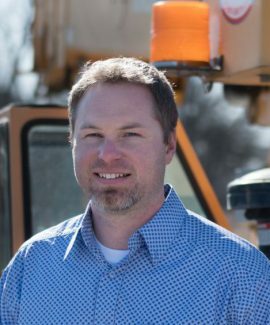 A graduate of Oklahoma State University, Rabb has his Bachelor of Science in Engineering Technology – Construction Management Technology. Other accreditations include OSHA 30 certified, MSHA certified and FMI certified Project Manager. Rabb’s overall goal in his new role is to continue to be an asset towards the positive growth of the Williams team and customers of Williams Construction Company. For the last seven years, the Williams team has watched Rabb exhibit all the core values that are the key attributes to the success of Williams Construction. Rabb’s continues achievements, along with his everyday efforts towards the Williams core focus has made him a strong asset to the Williams team. To say that we are excited to have him in his new role would be an understatement. Congratulations Chris Rabb, Thank you for all you do!